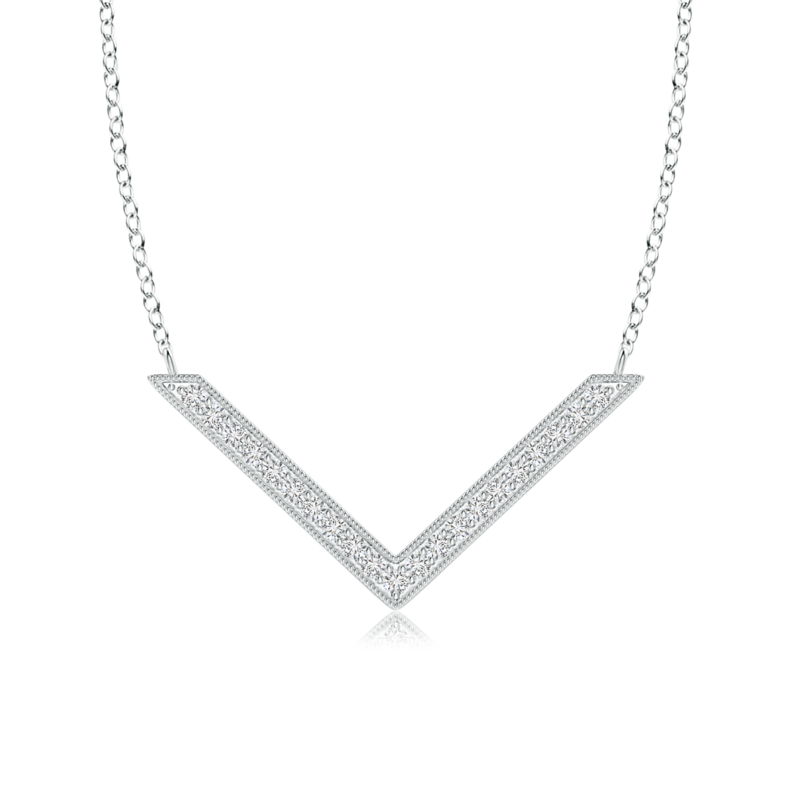 This simple yet attractive chevron necklace has been impeccably designed to embody the spirit of feminine grace. Crafted in 14k white gold, its alluring v-shaped frame is embedded with radiant lab grown diamonds that gleam like stars in the night sky. The edges showcase fine milgrain detailing, which further elevates the overall charm. A fashion-forward design teamed with the purity of lab grown diamonds makes this necklace an undeniably alluring piece of jewelry.